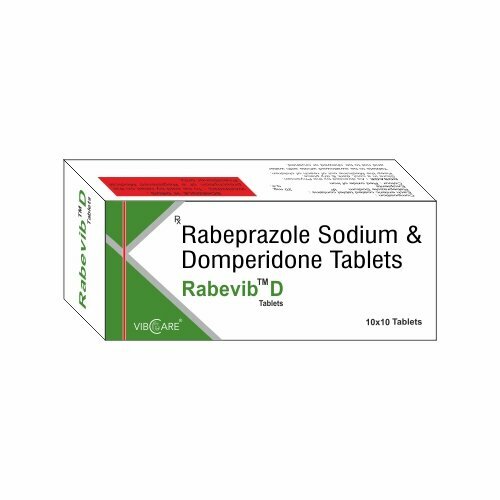 Rabeprazole is an antiulcer drug in the class of proton pump inhibitors. It is a prodrug – in the acid environment of the parietal cells it turns into active sulphenamide form. Rabeprazole inhibits the H+, K+ATPase of the coating gastric cells and dose-dependent oppresses basal and stimulated gastric acid secretion.